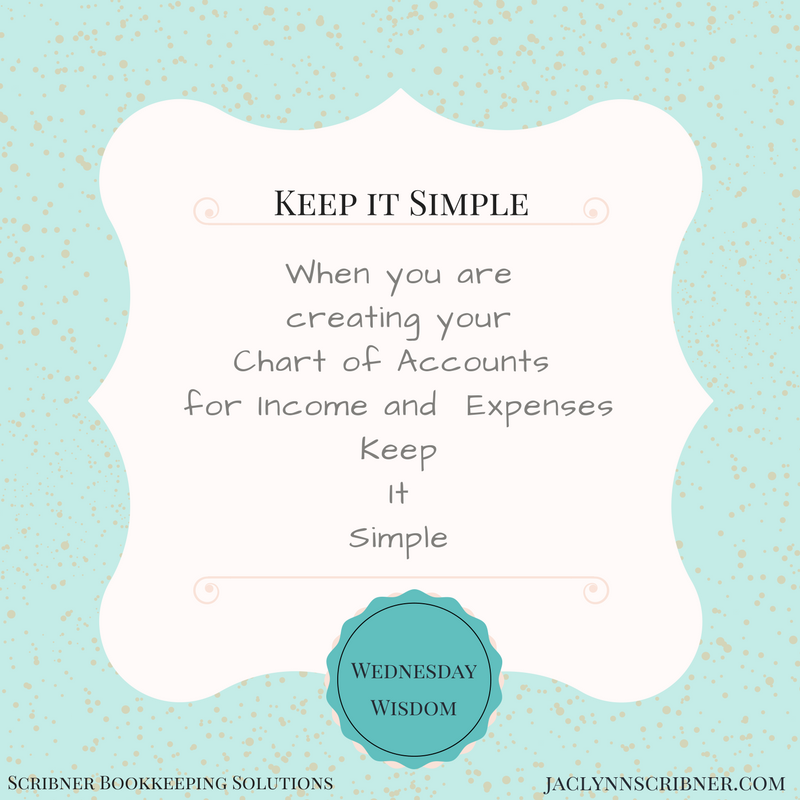 Keep It Simple: We create a Chart of Accounts to classify Income and Expenses. Best practice is to keep it simple. Because the more accounts you have, the more time you will spend in deciding which account to use. For instance: Use Utilities (expense) to cover things such as gas, electric, water, phone etc. instead of creating a different account for each one. They are all going to be put under the same expense category for tax purposes anyway.